Welcome to our Worldwide Prayer Network. This network spans the globe where Ministers, Ministries, Individuals and Congregations are joining in unity to pray for the “Body of Christ” to work together in the spirit of love, harmony and purpose. It is our prayer that this network will pray every hour of every day until Jesus returns. We invite you and your ministry/church to commit to one specific hour per week to pray and join in this final international prayer gathering of the saints. This is a life commitment that you will pray each and every week for only one hour. There are 168 hours each week and we are expecting every hour to have many leaders and churches praying during each one and every one. Below are a few of the prayer points that we are praying. The list will continue to grow and change over time. Suggested and needed areas for prayer. Leaders are encouraged to select and edit as led by “Holy Spirit”! Pastors marriages and families to be strong, healthy and holy. To be examples of Christ. ministry of reconciliation (2 Cor. 5:18). Let’s take an optical view of these guidelines.  Sit down in a quiet place with no distractions.  Pray before engaging in conversation (Optional but important).  No name-calling, no yelling, no foul language.  Focus on the problem, not the person; stick to the issue.  Avoid generalities. Examples: you never, you always.  Use the “I” statement. b. I need to know…………………………………………………………………………..
f. I want to bring some closure to our argument. g. I am sorry that I ………………………………………………………………………. Don’t interrupt or correct him when he is telling a story. Compliment him in front of his children, your parents, his parents and friends. Let him have some time to relax when he arrives home from work. Develop a genuine interest in his work and hobbies. Admire him for his strength and significance. If he wants to take a lunch to work, pack it for him. in the morning when he leaves. Help your kids be excited about Dad’s coming home. Keep his favorite snack on hand. Watch his favorite sporting events with him. Judges 9:53 NKJV “But a certain woman dropped an upper millstone on Abimelech’s head and crushed his skull.” Wow, some real drama and a historical victory for God’s children. However, one day as I read the account I related to it very personally. In pastoral ministry I was often referred to as Carlotta or Ms. B. Both were pleasing to me; they were personal. Yet when being introduced in pastoral, missions and itinerary ministry I have been introduced innumerable times as, “Larry’s wife.” I do like the sound of it because I love being his wife. But I am also an individual. Don’t misunderstand, I am not one of those ministers’ wives who goes around trying to establish a platform by declaring, “But what about me, I have something to offer too.” However, I will admit that on one occasion when being introduced as merely Larry’s wife, by a pastor with whom we had been in close fellowship for years, I demonstrated some holy boldness – well, some kind of boldness – and declared, “You know I do have a name.” Please recognize what I am saying. There are times when such an introduction is appropriate, but when the opportunity presents itself anyone can appreciate respect and personal acceptance. The certain woman, along with her fellow citizens, had fled into the city’s strong tower because they were being pursued by the wicked king Abimelech who had killed his brothers, seventy sons of Jerubbaal (Gideon). God had lifted His restraints because of his many cruel and evil deeds. At last the people revolted against the king’s ungodly rule. The king saw the vulnerability of the people, approached the tower himself and was attempting to set fire to the entrance. A certain woman saw opportunity, acted upon it, proved courageous and dropped a millstone on Abimelech’s head, crushing his skull. This action caused him to beg to be killed by his men so it couldn’t be said that it was a woman who had destroyed him. This woman is still an example of encouragement to us. In fact, she reminds me of another woman in Judges, Jael. They both saw opportunity and seized the moment. One is not named and one is. You may be made to feel at times that your name is “No Name.” The challenge is this – are you presenting yourself to be a certain woman or a certain man? Regardless of whether your name is mentioned or is not. The point is that you are you. You are vital, whether in vocational ministry, education, business, the medical field, the arts, stay-at-home parenting, even in a state of physical disability. We hear the term marketplace frequently. The marketplace has always been the place of mingling, interaction. So may I say it this way? Your marketplace is anywhere and everywhere you take in oxygen and do life. Be the person who sees need, sees opportunity, seizes the moment, takes action for God and man. You are God’s certain woman or God’s certain man. You have His favor, His help, His anointing as soon as you put your hand/your mind/your voice to what is provided. He is still saying “well done” to the woman in Judges 9 and he says “well-done” to your obedience. http://allpropastors.org/wp-content/uploads/2017/04/praying-young-lady.jpg 1280 853 Dr. Larry Bennett http://allpropastors.org/wp-content/uploads/2017/09/logo-t.png Dr. Larry Bennett2018-06-11 09:50:062018-06-14 13:00:38Is Your Name Nobody? 1. Have good conversation when you’d rather read the paper or watch tv. 2. Give her a back rub with no expectation of physical intimacy. 5. Hold her hand when you lead the family prayer. 6. Find a way to save something from every pay check. 7. Ask for her input before making decisions. 8. Hold her tenderly when she cries, and tell her it’s okay. 10. Call, if you are going to be more than fifteen minutes late. 11. Encourage her to take time out with her friends. 12. Remember to carry a clean handkerchief when you go to a romantic movie. Financial stress in a relationship is one of the major causes of divorce. and weaknesses, with the need for temperance. love; however, unmanaged spending can lead to much debt. nevertheless, if they are not careful, may end up broke or bankrupt. like bills, over-draft fees, over-the-limit notices and late fees. personality is very important for a fruitful relationship. Are You a “GODLY EXAMPLE in LEADERSHIP”? A Godly example for others is NOT AN OPTION in ministry, however many times we show anything other than a Godly impact on lives that are watching our every move. Sometimes it is so easy to laugh at another’s sick joke, or criticize a man or woman of God because they do things differently than we do or we might complain often of our ailments or problems with our children and family. Are we the example that will enhance their lives or are we like the blind leading the blind? What about ego? Are we always bragging, building ourselves up as we crave for attention? Serve from Godly motives, not to feel good about yourself….or to be praised, accepted, or in control. Are we always considerate of others? Do we strive to be on time….? Do we answer phone calls and text promptly? Do we answer messages with a pleasant message other than a yes or no? The power of our example of the way we live either has a negative or positive influence on others. What about sharing our interest in movies, TV or other media outlets? Do we show interest in TV shows that are knowingly secular, violent, witchcraft, promoting sexual perversion and other worldly interests or is it our ultimate goal to help others become imitators of Christ so not to open our eyes, mind and spirit to these evil pursuit’s ? Do we show and live by example, that our spouse is our best friend (after Jesus Christ) .and that he or she comes before anyone in our congregation or otherwise? Linda Pickern Founded “Women R Champions” after several years working with husband Paul with All Pro Pastors. The need that Pastor Wives and women who serve in ministry shared was for a safe place to come and unload. Woman R Champions is a closed community group within Facebook that is open by invitation. This helps to keep it private. 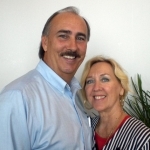 Linda has worked in business and been a part of several denominations for over 50 years. Originally from West Virginia, she still has lots of family there. As a mother and grandmother as well as married to a pastor she has many life experiences to draw upon! Linda is a faithful prayer warrior for the women and their husbands she serves. http://allpropastors.org/wp-content/uploads/2017/11/Leadership-on-Globe-2.jpg 861 1412 Linda Pickern http://allpropastors.org/wp-content/uploads/2017/09/logo-t.png Linda Pickern2017-11-20 10:29:532017-11-20 10:30:34Are You a "GODLY EXAMPLE in LEADERSHIP"?